My kids are old enough to help in the kitchen now. They love to cook and bake. 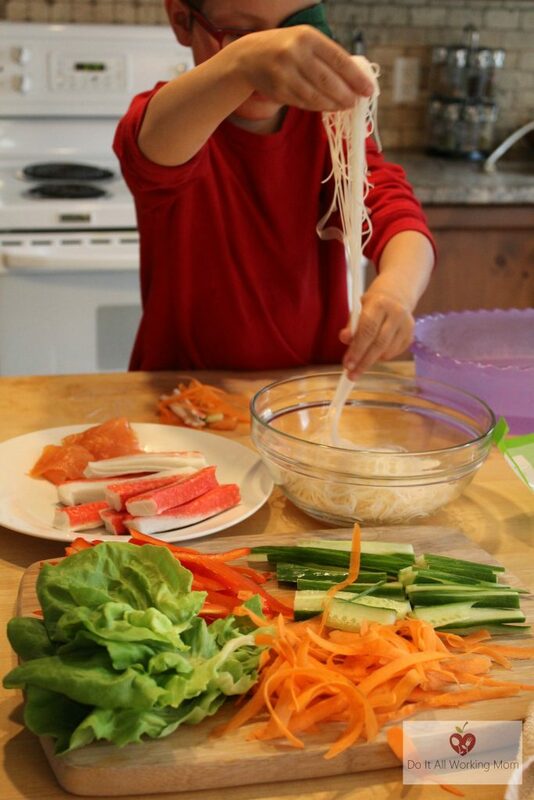 They particularly liked making this delicious Spring Rolls Recipe. 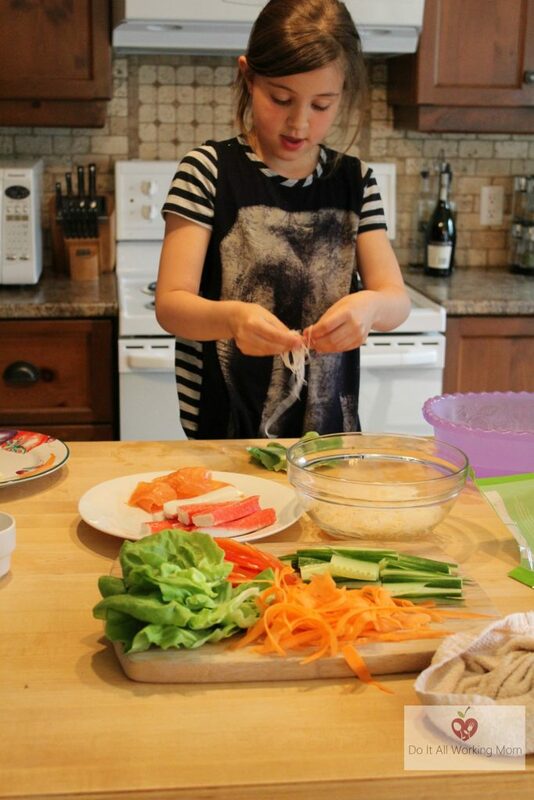 What’s great about having kids help in the kitchen, is that they are willing to taste food they would probably never have tasted if you had prepared it for them. Spring Roll is the kind of dish that doesn’t really require a recipe. Just add the food you like, roll and eat! I’ll still share with you the ingredients we like to add in our Spring Rolls. Fill a large shallow bowl or container with warm water. Place a piece of rice paper in the water for about 15 seconds or until soft. 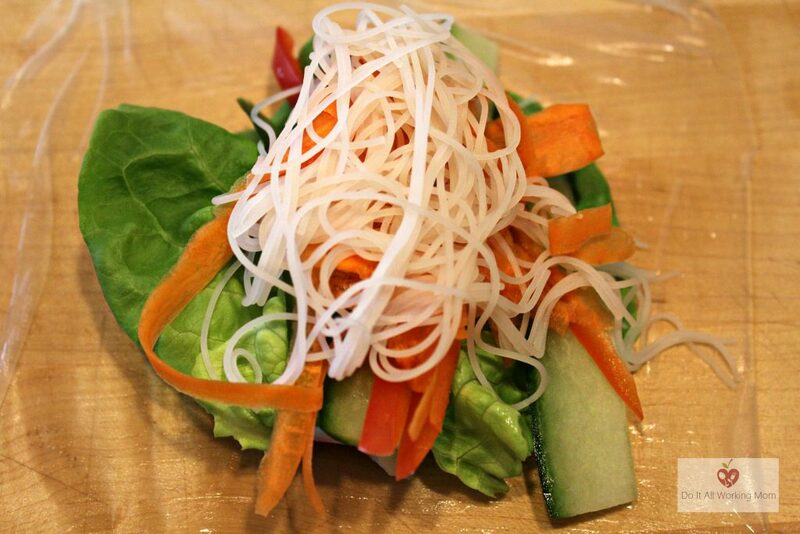 Lay the piece of rice paper on a cutting board or flat surface. 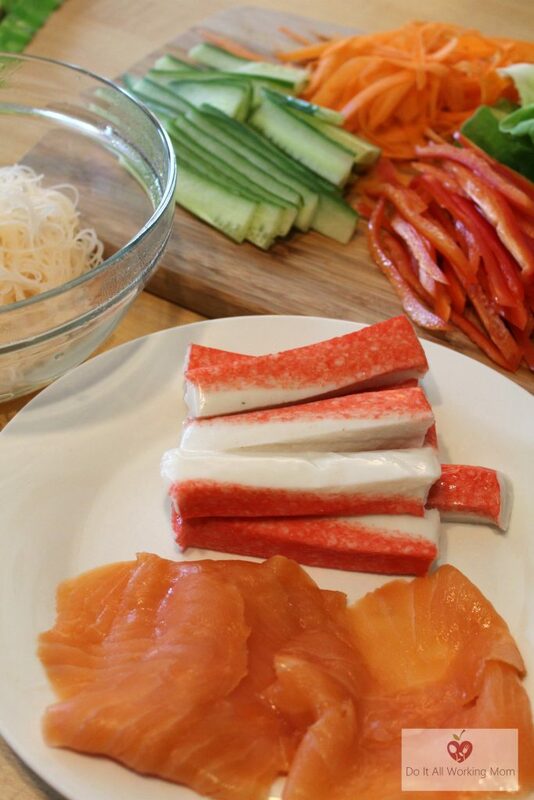 Add shrimps, surimi sticks or smoked salmon, lettuce carrots, cucumbers, peppers, vermicelli noodles. 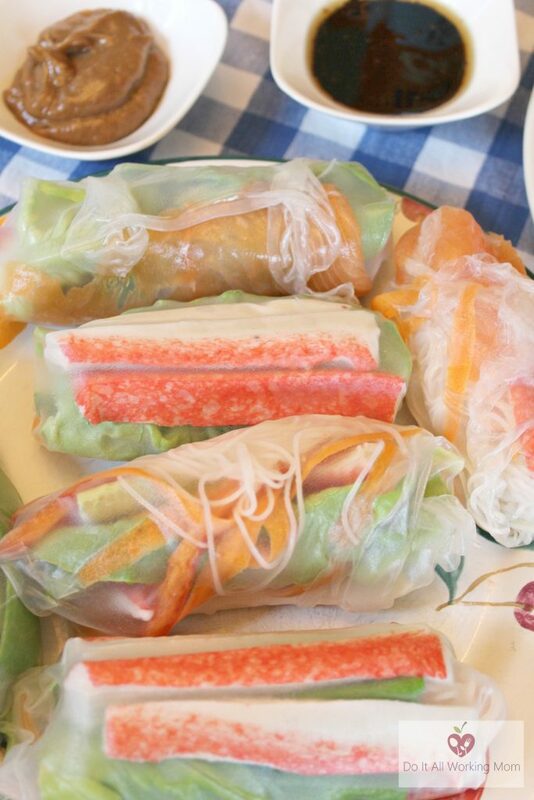 Fold the sides of the rice paper over the ingredients, then roll. Do this with the 8 pieces of rice paper. Serve immediately with the peanut dipping sauce or this rice vinegar dipping sauce. In a small bowl, stir all the ingredients together. 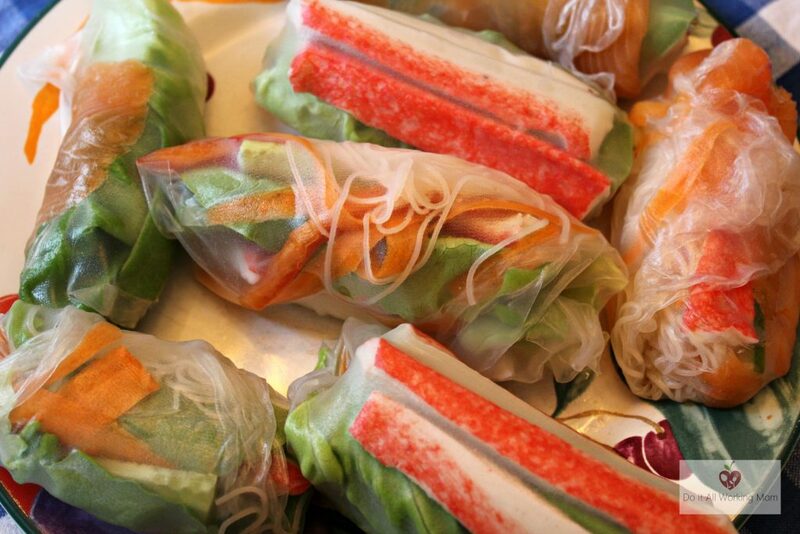 Try making these delicious Spring Rolls with your family. Let me know if your kids enjoyed this recipe. 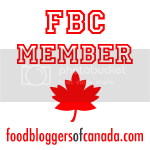 « Deviled Eggs with a Twist!